Wolf Commercial Real Estate, a leading Mount Laurel commercial real estate broker, is now offering premier Mount Laurel retail space for lease in Larchmont. This retail space in 08054 is well-located at 3211 Route 38 Mount Laurel NJ. There is +/- 1,716 square feet of Mount Laurel retail space available for lease at this location. In addition, this retail space in 08054 includes a 500-square-foot lower-level storage area. There also are both monument and above-store signage available at this Mount Laurel retail space at 3211 Route 38 Mount Laurel NJ. The asking lease price for this Mount Laurel retail space is $50,000 per year NNN. This Mount Laurel retail space is available for immediate possession from Wolf Commercial Real Estate, a Mount Laurel commercial real estate broker that specializes in Mount Laurel commercial real estate listings and services. This retail space in 08054 at 3211 Route 38 Mount Laurel NJ is in a landmark retail location next to Abbruzzi & Giunta’s Italian Market. Interested clients also will note that this Mount Laurel retail space at 3211 Route 38 Mount Laurel NJ is conveniently located with great visibility. 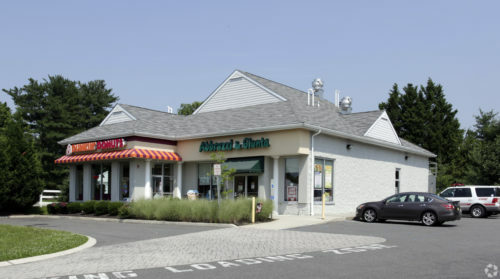 There is ample parking available at this Mount Laurel retail space in 08054 for lease through Wolf Commercial Real Estate, a Mount Laurel commercial real estate brokerage firm that specializes in Mount Laurel commercial real estate listings and services. Wolf Commercial Real Estate, a Mount Laurel commercial real estate brokerage firm that specializes in Mount Laurel commercial real estate listings and services, has been retained to lease this retail space in 08054. Information is available upon request. For more information about this Mount Laurel retail space, or about any other Mount Laurel commercial properties for lease or sale, please contact Jason Wolf (856-857-6301; jason.wolf@wolfcre.com) at Wolf Commercial Real Estate, a Mount Laurel commercial real estate brokerage firm. Wolf Commercial Real Estate is a premier Mount Laurel commercial real estate broker that provides a full range of Mount Laurel commercial real estate listings and services, marketing commercial offices, medical properties, industrial properties, land properties, retail buildings and other Mount Laurel commercial properties for buyers, tenants, investors and sellers. Please visit our websites for a full listing of Mount Laurel commercial properties for lease or sale through our Mount Laurel commercial real estate brokerage firm.